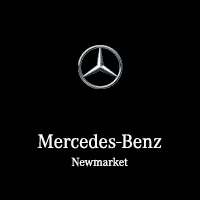 Mercedes-Benz Newmarket wants to be your go-to choice for anything pertaining to your vehicle needs, and we aspire to be much more than simply a car dealership. We want our relationships with our customers to last long after the sale. Please contact us should you have any questions or concerns. We want your experience to be everything you’d expect from Mercedes-Benz itself, so please hold us up to that standard.